Meals are served in the Dimmick Dining Hall and provide our residents with a diverse and balanced diet. Dining as a community is one of the best ways to meet people, catch up on news and stay in touch with other residents. 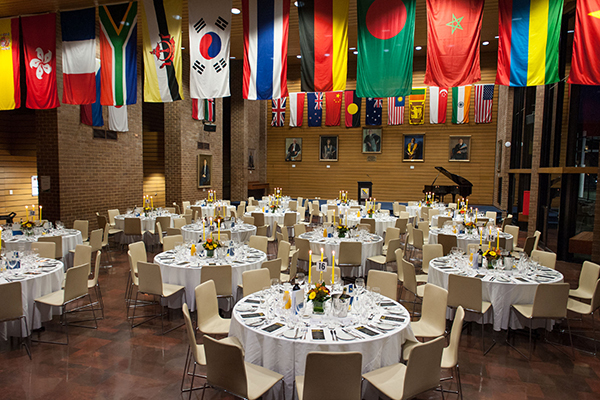 Known as 'High Table', these dinners are held on Tuesday and Thursday nights during semester and are an important tradition at International House. 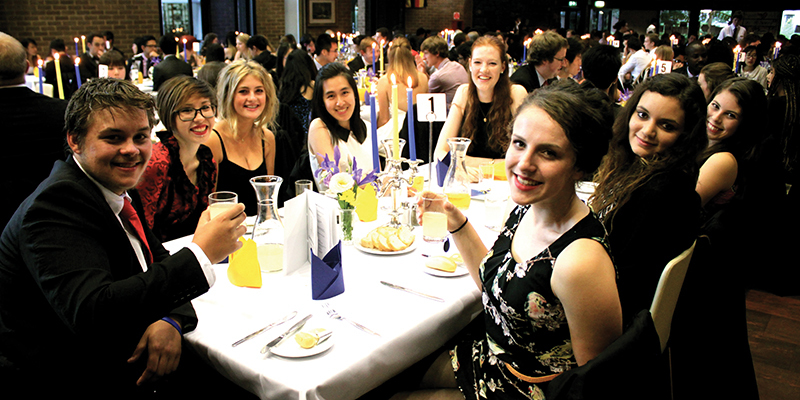 Students observe certain standards of dress and behaviour at dinner by wearing an academic gown and enjoying a sit-down meal with fellow members of their community. Academic gowns are loaned to students by the House and it is compulsory to wear one. Tea, coffee and fruit are available in the Dimmick Dining Hall for students to consume at their leisure. Food and soft drink vending machines are also located on our campus. 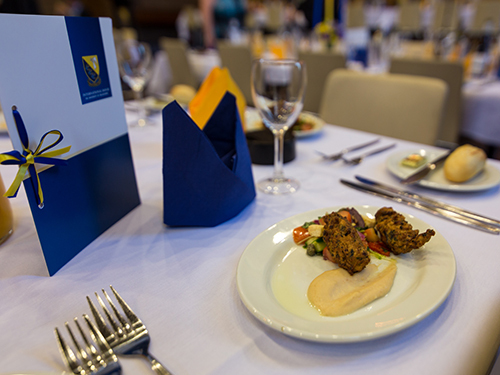 Students may apply for a late meal if they have an ongoing or one-off commitment (study, sport or work) during semester, but will require the approval of the Deputy Head of College. Late meals are not offered on Saturday and Sunday, or after 11pm. A sandwich bar is available in the morning on Monday to Friday for students to make their own packed lunch if they will not be at college during the lunch service period. A range of wholesome and nutritious meals make up a constantly changing menu that reflects different culinary styles from around the world. A vegetarian option is served at every meal, and most meats are halal. 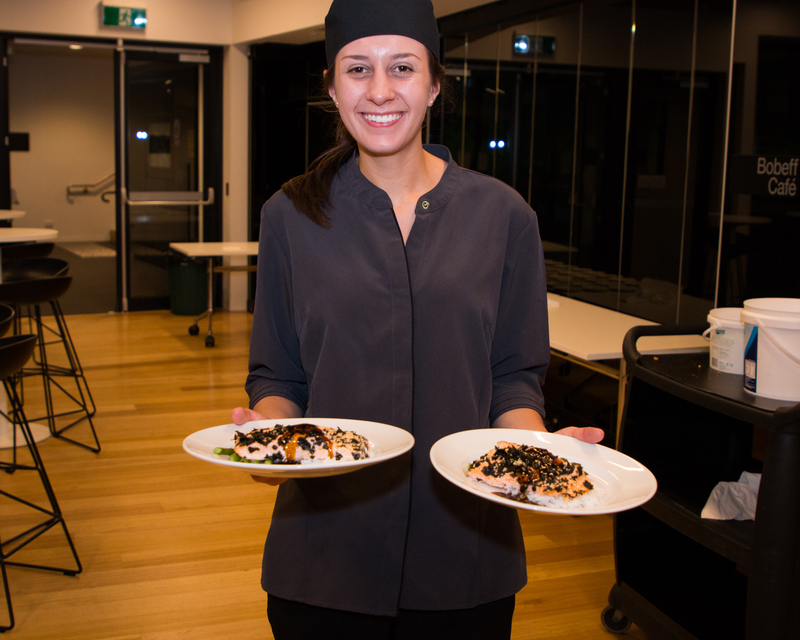 Kitchen staff are happy to assist students who have special diets as prescribed by a doctor or dietician. Student feedback on matters relating to food is actively sought and incorporated into catering decision making. Undergraduate residents who have a strong interest in issues relating to college food are encouraged to join the Food Committee, which acts as a liaison between the students and the kitchen, even helping to plan new menus.